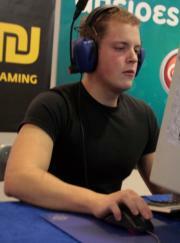 Johan "Toxjq" Quick, also known as "Tox" or "Toxic", is a Swedish Quake player. Currently, Toxjq is ranked #329 in highest overall earnings, and #23 in highest earnings for players from Sweden. Out of the 48 tournaments where Toxjq received a cash prize, the largest was $37,500.00 from Quake World Championship 2017: Sacrifice Tournament on August 26, 2017. His 2nd place finish makes up 13.01% of his total prize money won. Toxjq overtook the $100,000 milestone on December 10, 2006, winning $20,000.00 and placing 1st at WSVG Finals 2006 (Quake 4). Prize money from 16 tournaments got him to that point.